TV can offer many opportunities, and can be a lucrative way to advertise your art business. There are many channels on TV that are directly aimed at artists. Utilising these channels can provide an ideal way to promote your artwork to the audience that will buy from you. There is also Internet TV to consider when deciding where to advertise. Making an advert to promote your art business is not necessarily a specialist job anymore. There are plenty of software programmes available that will allow you to edit film and add narrative and/or music to your clip, enabling even the most amateur photographer to create stunning film/video or slideshow suitable for TV advertising. If you prefer to engage the services of a specialist company to make your commercial, that's fine, but remember to compare rates of several before doing so. Also ask to see samples of their work. A poor advert will result in poor sales. You need to display your products at their best in order to gain more sales. Always contact the channel that you wish to advertise on and ask for a price list and guidelines on having your commercial on their channel. The price will vary dramatically depending on which channel you choose. Remember, prime channels and peak hours will literally cost thousands! When deciding where to advertise, always watch several channels first before committing. You won't always get great sales advertising finished artwork on the painting & drawing channel as its prime audience is artists creating their own work. You need to look for channels that advertise to the audience you are aiming at. If you are making limited edition sculpture of horses then aim for a channel that screens horse programs or even horse racing. It is essential that you pinpoint the channels that your buyers are likely to watch. Do your homework carefully. As adverts are not only charged by length, but also on the time that they are shown, it is essential that you try to pick a time that not only suits your budget but also stands a chance of your buyers seeing it. Carved knitting needles with larger grips designed for the elderly are not going to reach their target market if you choose to screen the ad at midnight as most elderly people are in bed by then. Similarly, it is no good screening the latest gadget for teenagers during school hours. 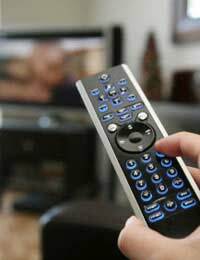 Utilising TV can be expensive, it is therefore essential that you set a budget and don't allow yourself to go over it. If you can't afford to use the TV channels now, you may be able to in the future. It is more important that you stay in business than appear on a TV channel. However, if you do have the budget for TV you can't beat the sales potential that it has. It can reach hundreds of thousands of people, globally. All you have to do is sit back and hope that the sales come pouring in, which, if you did your research, they should.